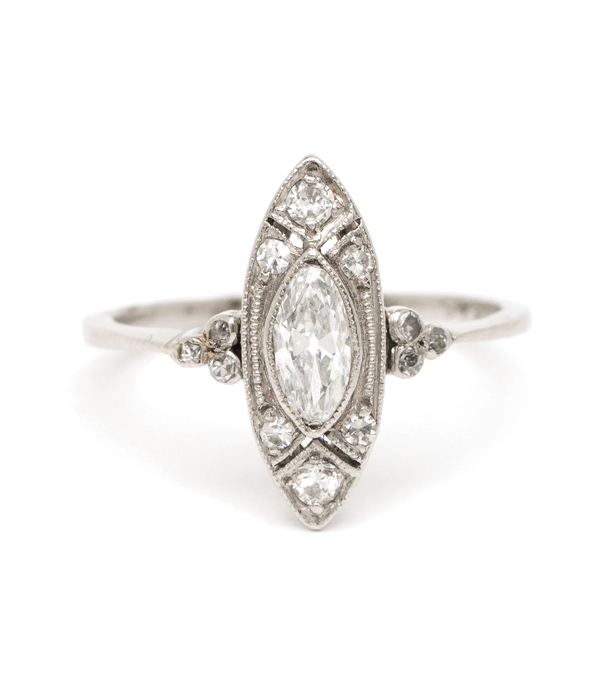 We dubbed this ring the Platinum Princess because her sweet details and icy cool look make this one marquise ring fit for royalty. 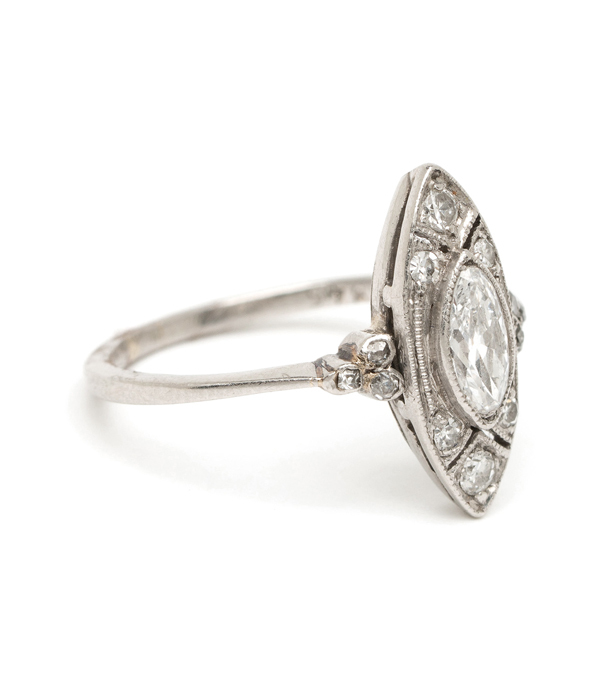 A petite navette shaped center is set with an antique marquis center diamond and detailed with dainty openwork and single cut diamonds characteristic of our favorite Edwardian pieces, circa 1910. 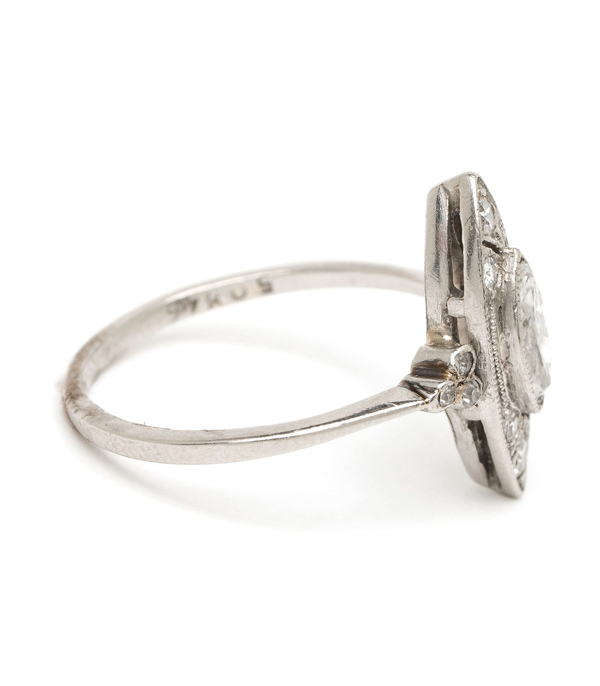 Categories: Antique Diamonds, Vintage Archive.